Japan has many outstanding authors, some of them even beginning to end stories without the traditional and obligatory tragic ending exemplified in the works of Yukio Mishima. Mishima's books not only individually always ended badly, each of his books in the four piece cycle the "Sea of Fertility" ended on an extreme down (forcing you to question why you picked up the next each time) but the entire tetralogy fades to death and nihilism. Added to this, the day he finished the final work, he led a failed coup, ultimately committing ritual suicide. It has to be said, that is somewhat redefining the meaning of "a tragic ending". Mishima apart, there are two authors who somewhat break the mould and they're both called Murakami. Haruki and Ryu are each prolific writers exploring life and love through a series of surreal, and often violent, story lines. 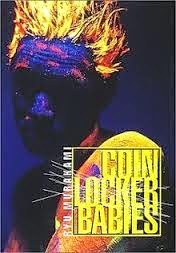 Haruki is probably the better known internationally, his work having been more widely translated but so have a number of the books Ryu Murakami, the most widely recognised probably being Coin Locker Babies and the extremely dark In The Miso Soup. If you read Haruki Murakami's 2011 (English publication date) work, IQ84, and wondered at the title, it's actually a clever play on the Japanese for the number nine which is pronounced "kyu". IQ84 being the identifier of an alternative universe to this where the date is 1984. 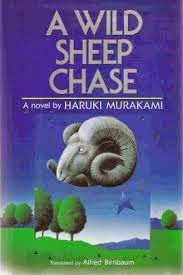 In fact many of the works of Haruki play on English phrases, my favourite being A Wild Sheep Chase and I defy anyone to completely understand his book The Wind-Up Bird Chronicle.